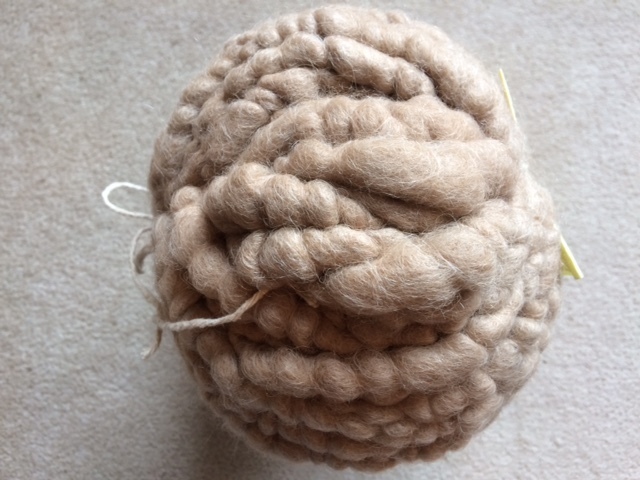 This corespun rug yarn is our own home-grown alpaca, wrapped around a cotton core, processed in Maine at Aroostook Fiber Works. Wraps per inch are approximately 2. This bump is approximately 65 yards. 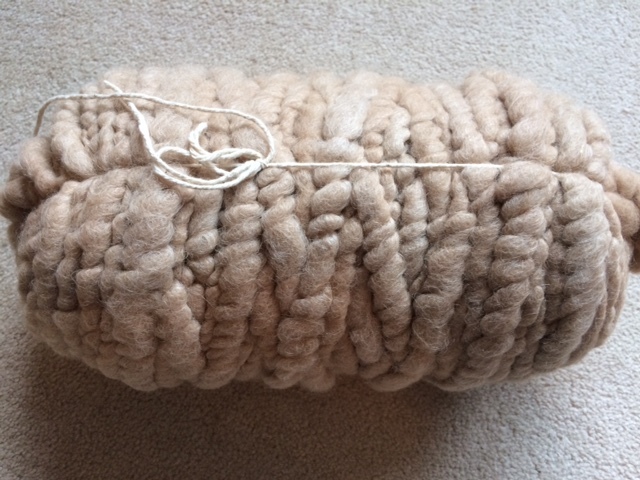 This would work up nicely in a woven rug or a peg loom rug, and can be used for knitting a rug with size 35 needles. 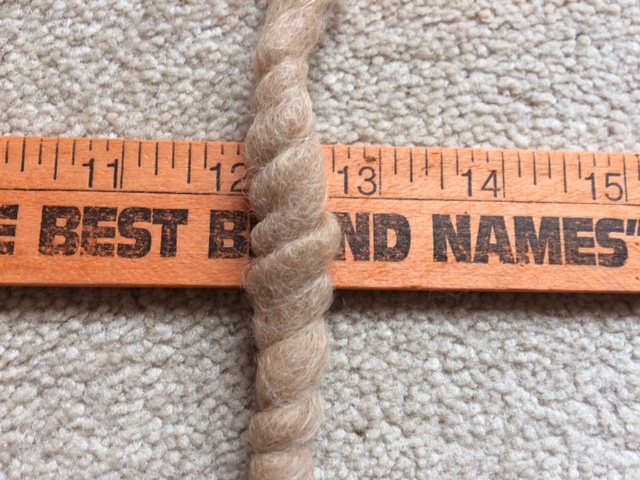 Take 3 strands and braid, then lace the braid into a beautiful rug. Crocheting with a large hook, or working up with a lucet are other options. 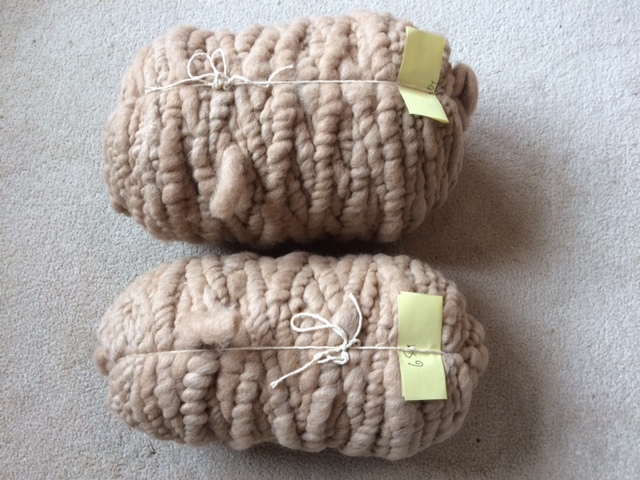 This rug bump is natural medium fawn, and will take dye beautifully. As of 4/14/19, there is only 1 bump available that is 65 yds. Message me for a discount on purchasing any combination of multiple bumps listed.